Television is a central dimension in our everyday lives and yet its meaning and its potency varies according to our individual circumstances, mediated by the social and cultural worlds which we inhabit. 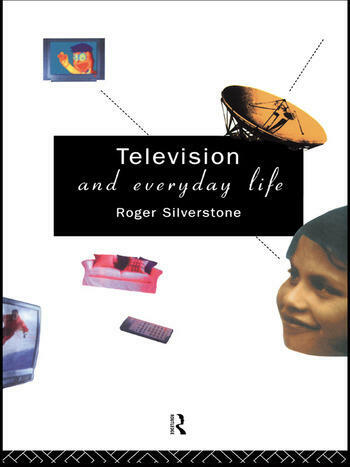 In this fascinating book, Roger Silverstone explores the enigma of television and how it has found its way so profoundly and intimately into the fabric of our everyday lives. His investigation, of great significance to those with a personal or professional interest in media, film and television studies, unravels its emotional and cognitive, spatial, temporal and political significance. Drawing on a wide range of literature, from psychoanalysis to sociology and from geography to cultural studies, Silverstone constructs a theory of the medium which locates it centrally within the multiple realities and discourses of everyday life. Television emerges from these arguments as the fascinating, complex and contradictory medium that it is, but in the process many of the myths that surround it are exploded. This outstanding book presents a radical new approach to the medium of television, one that both challenges received wisdoms and offers a compellingly original view of the place of television in everyday life.